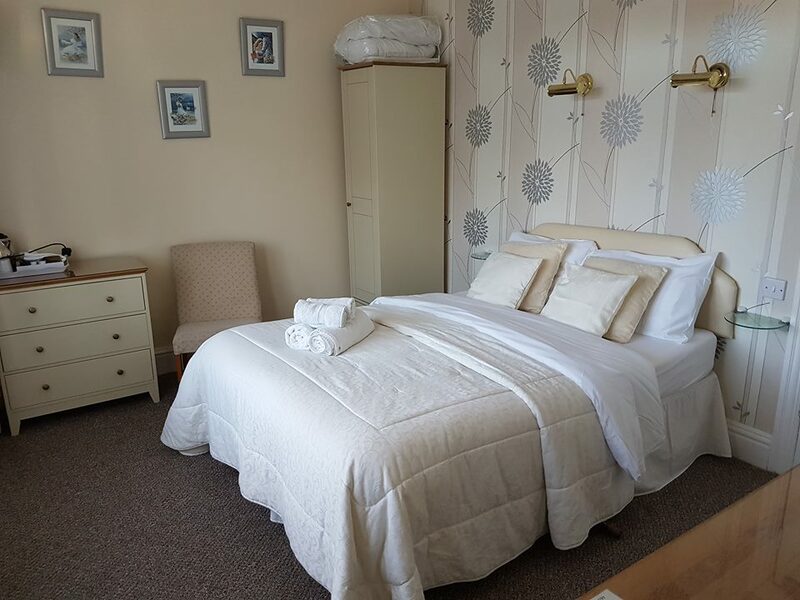 This fabulous first floor Double room consists of a comfortable double bed, plenty of wardrobe and draw space, hairdryer, a remote control TV with DVD player and built in free view. Free WiFi is available. This star room has a Sea view private balcony for you to relax on for no extra cost. We only offer a minimum of 2 nights stay in this room and due to it's popularity it is advised to book quickly.